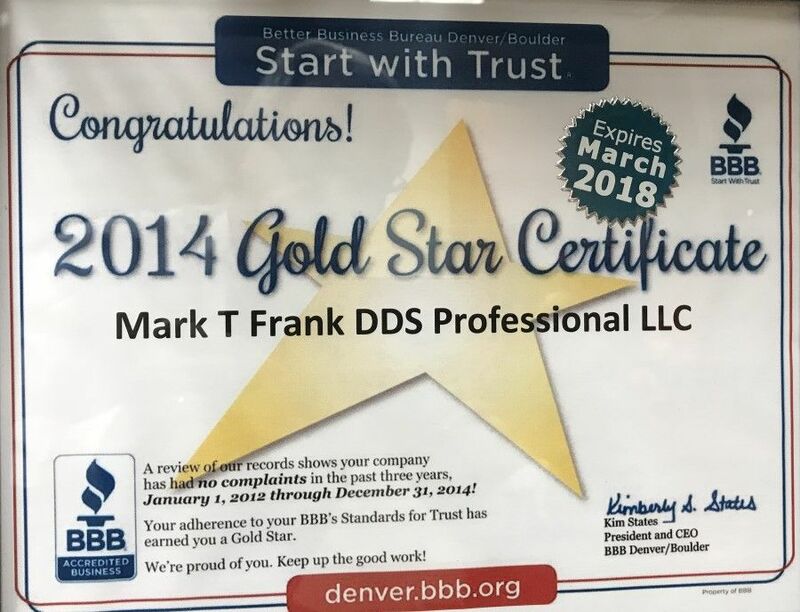 We are a small, independently owned family dental practice who have been serving patients in the Denver Metro area for over 25 years. Technical Excellence | Caring Professionals! We understand the stress and apprehension associated with selecting health care professionals, especially a new dentist. 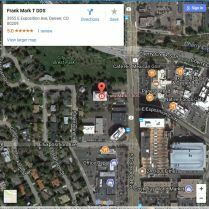 Allow us to help by inviting you to experience the comfortable, friendly atmosphere of our Denver dental office. We are a certified Invisalign invisible braces provider. See this page for complete details. Your mouth and facial expressions are crucial to the way you communicate with others, reflecting your self image and enhancing your psychological well-being. Our mission is to help you achieve your highest level of well-being. We do this by educating you on the benefits, risks, cost and time for each available procedure. Since it is your dental health, we strive to work with you in making treatment decisions. You will always have the time necessary to communicate your needs and concerns in creating a mutually agreeable treatment plan. 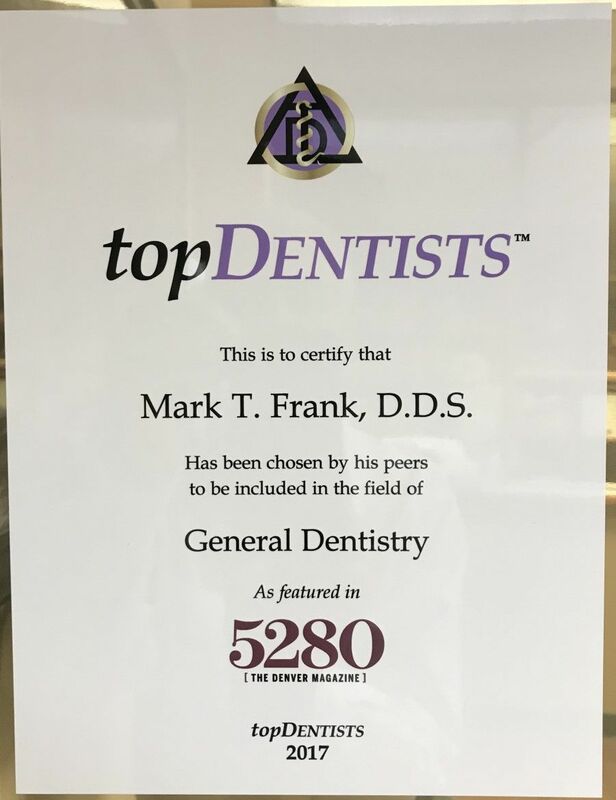 In our office we show our commitment to quality dental service by ensuring that you understand why and how a procedure is performed. 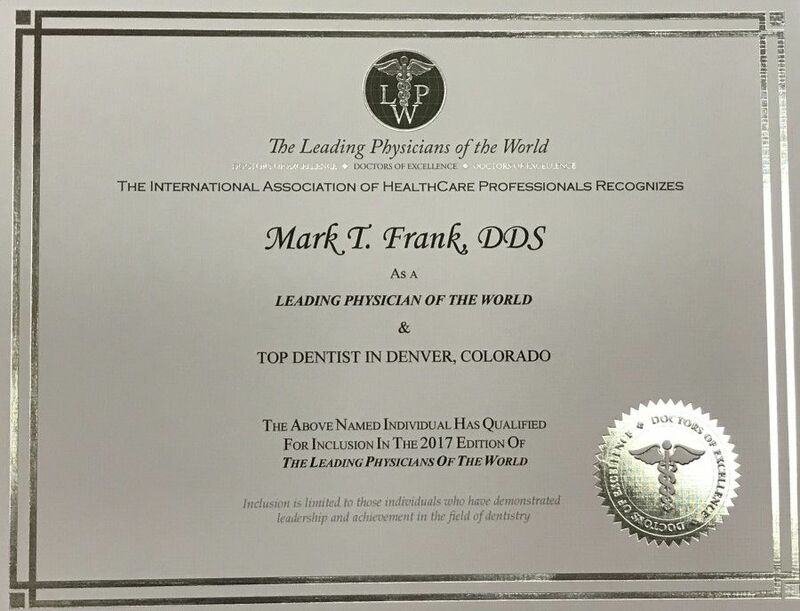 We show our commitment to professional growth by attending continuing education courses to provide you with the most innovative dental techniques available. The fees in our practice are based on the time required to perform each procedure in a quality manner. We implement the most current sterilization procedures and always use the safest materials in preventive, cosmetic and restorative dentistry. Appropriate anesthesia and sedation techniques are always used to insure comfortable dental procedures. 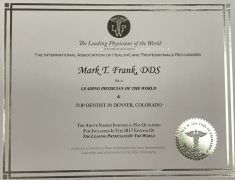 "I have been a patient of Dr. Frank for over 20 years! He is kind, knowledgeable, and unlike so many other dentists in town, does not try to upsell you on treatments you don't need. He recommends what is best for YOU, not his bottom line. That kind of clinical and personal integrity is priceless. I cannot recommend him highly enough." - Joanna posted directly to this site. "Going to a dentist is never on anyones bucket list. But things are much better when your dentist is sensitive, knowledgable, highly competent and professionally passionate. 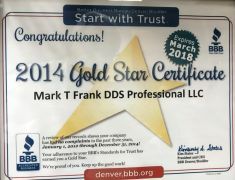 You can always trust Mark to be all those things and to always do the right things, at the right times and at the right cost with you in mind." - Karl F. as posted on Yelp!